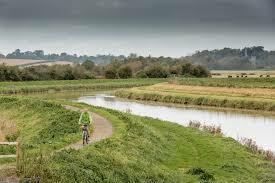 Did You Know That You Can Ride Without Traffic Your Bike From Paris To London? Yeap, you read right: Paris to London on a bicycle. 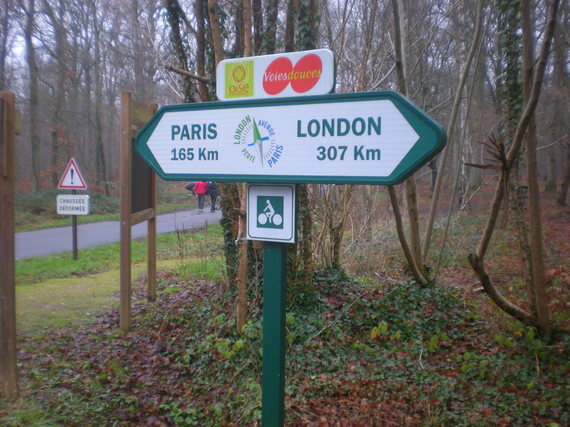 Yep, you read right: Paris to London on a bicycle. Even though England is an island and there is a sea between the two countries, a specially designed itinerary is in place for the brave, willing, and ready, to undertake the voyage. The possible path leads bikers (not of the motor kind) on a mostly serene countryside journey where cows and steeples are more likely to be part of the décor than trucks and toll highways. Between Notre-Dame cathedral in Paris and the London Eye, the 406 kilometer-long path, also meant for walkers and horse-riders, is mostly used by bicycles. Originally designed to offer a mostly traffic-free experience, L' Avenue Verte/The Greenway is a joint Anglo-French initiative. But, wait, there is water. Yes, at some point, the crossing of water is inevitable, since the English Channel (part of the Atlantic Ocean) gets in the way. It is one of the busiest shipping lanes in the world and expands to 350 miles long. 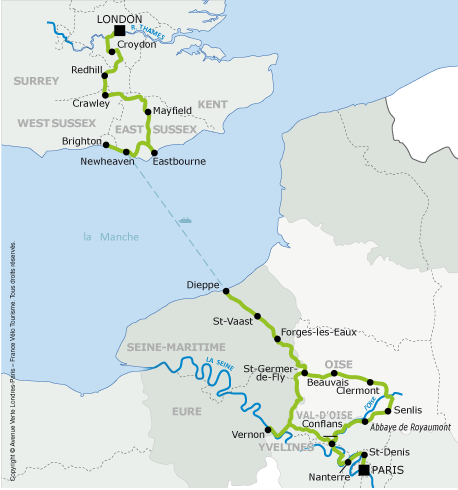 The Channel crossing is made, not at the narrowest point between the two lands, but with the ferry between Dieppe (France) and Newhaven (UK), with the Trans-Manche service from Normandy; Manche means channel in French. The Avenue Verte is especially marked for cyclists between the two capitals. In France, after departing from a meeting point at the central cathedral, the small roads and green paths take you across seven French departments, meandering along fields, farmlands, rivers, and occasional hill, although the terrain is mostly pretty flat all along. 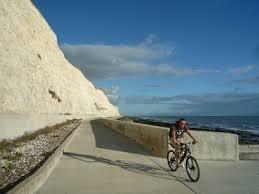 On the British side, the Avenue Verte follows the National Cycle Network of routes, from the coast to Sussex and into London. On the French side, portions of the former Dieppe to Paris railway is used for some for 40 kms. The Greenway is in fact, two. One option is a shorter western route of 247 miles (398km) and a longer eastern one of 287 miles (462km). The difference between the two is in the scenery. The eastern option crosses more historic towns, and the western option stays more rural with more quiet water views and the visit of the Vexin, a protected regional nature preserve. Both routes are quite easy and should not pose any physical challenges to riders in regular shape, fit enough to bicycle. Sometimes riding on concrete, sometimes on grass, dirt roads or muddy forest trails, the Avenue Verte is clearly marked all along the way, and no one has gotten lost yet! Outside of Paris, the Avenue Verte passes through the idyllic landscapes so well painted by impressionist masters such as Renoir and Monet. Before arriving in London, the lovely Cuckoo Trail finishes your pastoral journey on a fantasy note. Even though the roads are always open, surely a large part of the voyage would be to enjoy nice cool weather, neither too hot nor too cold, with no rain in sight and not too much wind either, please. Some brave souls travel the greenway all year long in any weather, but what's the fun in that? Accommodations along the way are left for the riders to decide. Some hotels, castles, B&B, pensions, and campgrounds are indicated on roadmap and on the official guide along the trek, as well as plenty of restaurants and other places to eat and rest. Both the French and the English countryside have plenty to offer as far as food and sleep options. And you can return with the cheap Eurostar train, which allows you to take your bike in, either as luggage, delaying its arrival by a day or so - or simply with you as the equivalent of a carry-on piece in a plane. Charges apply. Group departures are also available, usually through biking clubs.